while learning from the experts. Please read below about details of upcoming workshops. flora and fauna and much more. 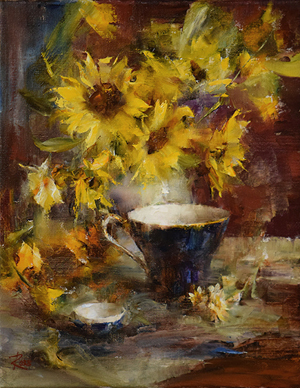 Join professional artist and keen landscape & still life painter Sheree Jones as she shares her passion for painting “from life” both in the studio and outdoors “en plein air”. Sheree will share her extensive knowledge with informative demonstrations, printed handouts and lively discussions. Her energetic and fun loving spirit will inspire you to enjoy your days creating and experimenting in a relaxed and supportive environment. explain and show through demonstration studies how certain effects of light and depth can be achieved. She will also try to help identify materials or procedures a student may be using that are getting in the way of their progress. 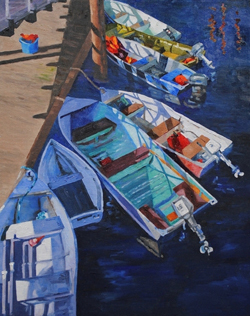 We will discuss composition, technique, principles of light and shade, and a range of other painting related topics. Simple! Is the operative word for Bobbi's workshops – and each workshop builds on the other through this theme. Using our chosen subject, we will stay true to the simple fundamentals, SHAPE, VALUE, EDGES and COLOR, as we begin to understand – and solve – the challenges associated with building a strong painting. A painting magically reaches out and pulls you across the room for a closer look. It's often a simple subject, yet a painting can be so captivating, it just doesn't let go … mysteriously drawing you to look closer. “Simple Ideas” that Bobbi emphasizes throughout her teaching: “ logical ideas ” … the nuts and bolts necessary to build a strong, beautiful painting. 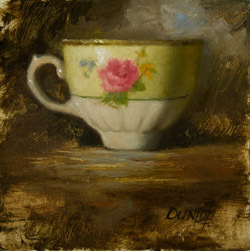 Ideas that help take the mystery out of painting and add the magic you are seeking. You'll learn how the “Still-Life” – “Figure” – “Landscape” are merely the vehicles in which to explore all the wondrous ‘ possibilities ' in paint! Reducing ideas and problems into their simplest forms , you will learn to visualize and develop your ideas and discover the joy in making brush marks! All breakfasts and bagged lunches are included as well as all dinners and snacks. There are local restaurants as well as 2 kitchen facilities on site for your own use if you wish. All our meals prepared from scratch with local organic ingredients. a photocopy of your passport, long sleeve top and long pants. We have a van and a SUV to transport you to and from our painting locations. The vehicles are used for casual trips to local villages and beaches. In the unlikely case of medical emergency, we will take you to a doctor or a hospital. More then likely you would have to pay with your credit card for your appointment or treatment and then get reimbursed by your Insurance Company. Please make sure you have your travel insurance in place prior taking the workshop. That should cover any medical expenses as well as luggage loss, etc. The area where Casa Buena located is very safe and people are layed back and friendly. Most populations are Mexican, but there are a few Expats live there as well.